A high-resolution, scanning electron microscope image of the carbon nanotube-polymer composite. The bundled CNTs appear as spaghetti-like structures. Using bundled carbon nanotubes to incubate cytotoxic T cells, Yale scientists have developed a new cancer immunotherapy that enhances a patient’s immune response to fight cancer. Scientists at Yale University have developed a novel cancer immunotherapy that rapidly grows and enhances a patient’s immune cells outside the body using carbon nanotube-polymer composites; the immune cells can then be injected back into a patient’s blood to boost the immune response or fight cancer. As reported August 3 in Nature Nanotechnology, the researchers used bundled carbon nanotubes (CNTs) to incubate cytotoxic T cells, a type of white blood cell that is important to immune system functions. According to the researchers, the topography of the CNTs enhances interactions between cells and long-term cultures, providing a fast and effective stimulation of the cytotoxic T cells that are important for eradicating cancer. The researchers modified the CNTs by chemically binding them to polymer nanoparticles that held Interleukin-2, a cell signaling protein that encourages T cell growth and proliferation. Additionally, in order to mimic the body’s methods for stimulating cytotoxic T cell proliferation, the scientists seeded the surfaces of the CNTs with molecules that signaled which of the patient’s cells were foreign or toxic and should be attacked. Over the span of 14 days, the number of T cells cultured on the composite nanosystem expanded by a factor of 200, according to the researchers. Also, the method required 1,000 times less Interleukin-2 than conventional culture conditions. A magnet was used to separate the CNT-polymer composites from the T cells prior to injection. According to Fahmy, previous procedures for boosting antigen-specific T cells required exposing the patient’s harvested immune cells to other cells that stimulate activation and proliferation, a costly procedure that risks an adverse reaction to foreign cells. The Yale team’s use of magnetic CNT-polymer composites eliminates that risk by using simple, inexpensive magnets. Two additional Yale engineering faculty contributed to this article: Gary Haller, the Henry Prentiss Becton Professor of Engineering and Applied Science and a professor of chemistry; and Lisa Pfefferle, the C. Baldwin Sawyer Professor of Chemical and Environmental Engineering. Other authors include Fiona Sharp, Nalini Vudattu, Ragy Ragheb, Justin Garyu, Dongin Kim, Enping Hong, Nan Li, Sune Justesen, and Kevan Herold. 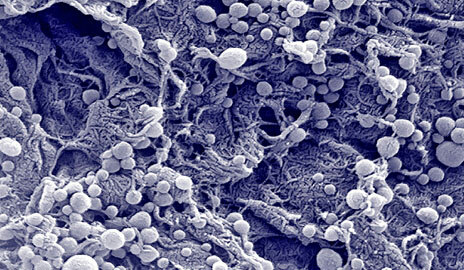 Be the first to comment on "Nanomaterials Give Immune Cells a Cancer-Fighting Boost"